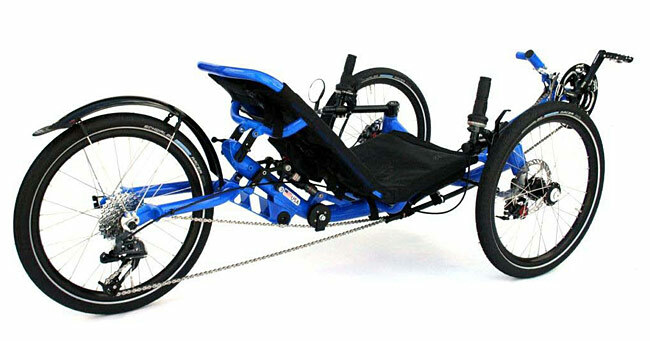 providing both a total shock absorption and a very high torsion stiffness. 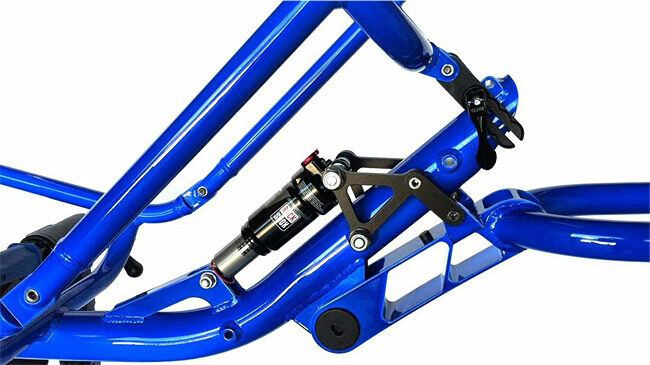 Thanks to applying the fundamentals of motorcycle suspension design, our anti-squat geometry (intersection of the swing arm and chain line is at a proper location in reference to the line between the contact patch of the rear tire and center of gravity at wheel base length) transfers all pedal power to the rear wheel with the frame perfectly rigid. 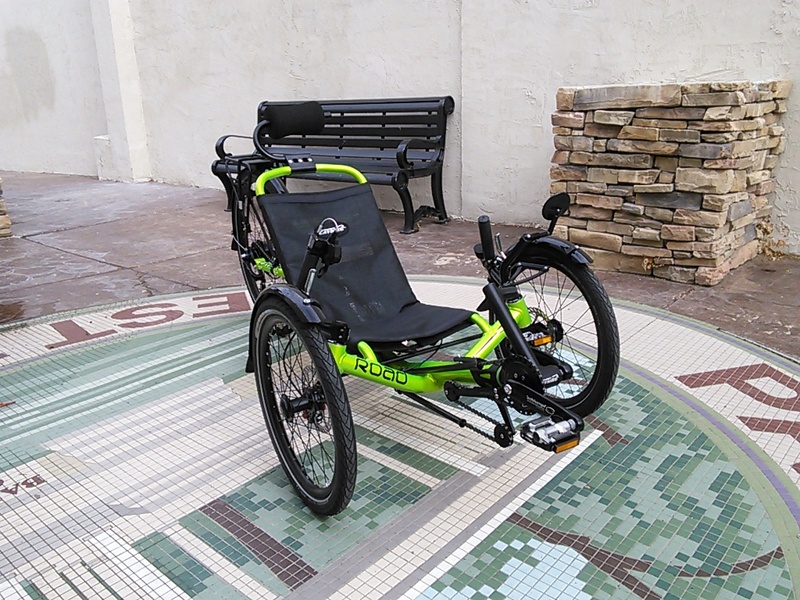 "Basically when you ride the new Catrike Road, you can't tell that there is suspension because is so efficient, but if you hit a bump you won't feel it either". Through bold design choices and careful structural and computer analysis, we were able to design a gorgeous architectural "see through" swing arm, that is 100% CNC machined, very light weight, strong, stiff and durable. The new Road has 15 new unique CNC machined parts and the assembly is done with a total of 12 teflon coated bearings to avoid any metal on metal contact at the joints. This results in zero stitcheon (static friction), providing the �silk like� feel or "hidden quality" we are always striving for. All of the pivot housing is designed and machined in the style of "fork" brackets for a perfect fit and zero play between the bearings and pivots, providing a maintenance free assembly. 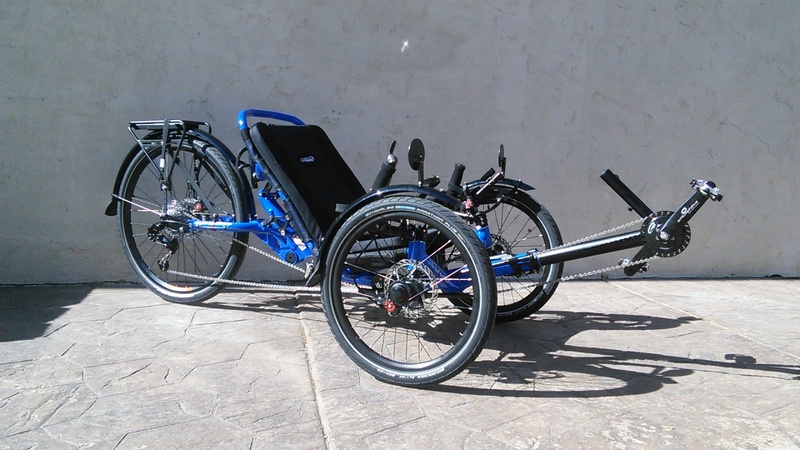 The new Catrike Road is a truly great trike, but don't take our word for it. It's speak for itself! MSRP to be determined but preliminary reports are that it will be $2950 -- worth every penny.